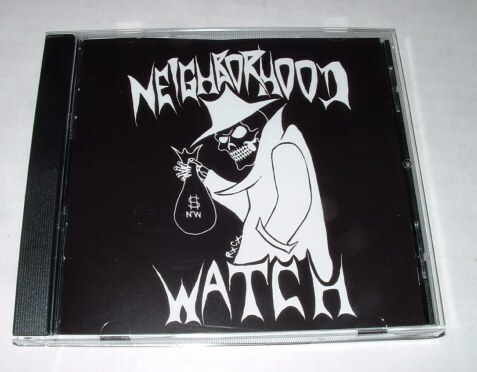 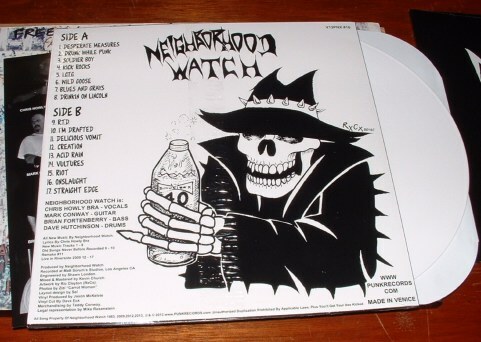 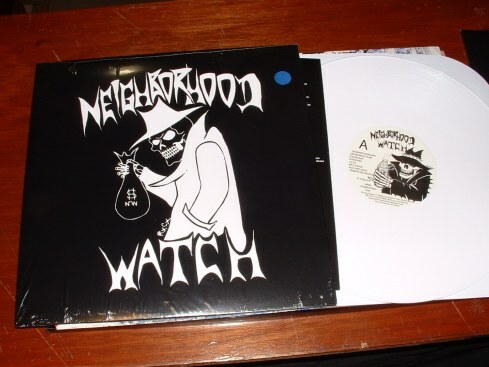 Early 1980's Venice band, Neighborhood Watch, is following up their 12" 30 years later with this album, containing old songs that were never recorded properly back in the early 1980's along with new songs made in the past 5-6 years & a few excellent sounding old live songs from their 12". 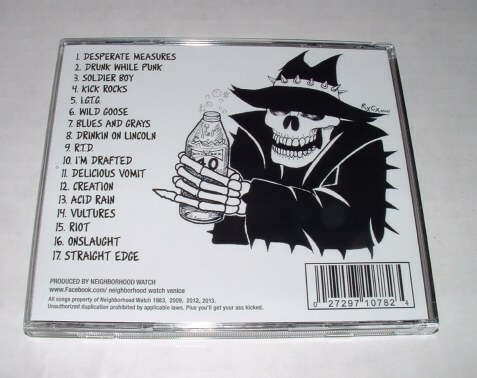 17 Songs in total. 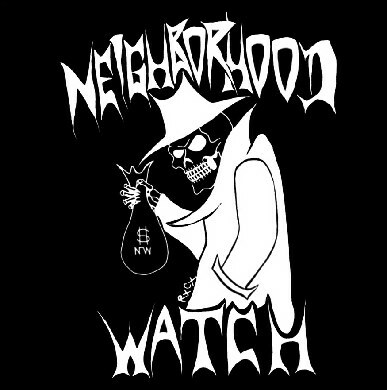 As some of you know Neighborhood Watch re-formed about 8 years ago, shortly after the Farewell To Venice Album Was Released, they have been Practicing & Gigging Regular in the L.A. area for the past few years, go see them if you have the chance & buy the album from the band at one of there gigs. 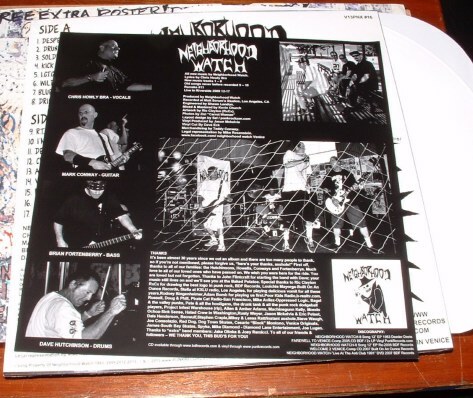 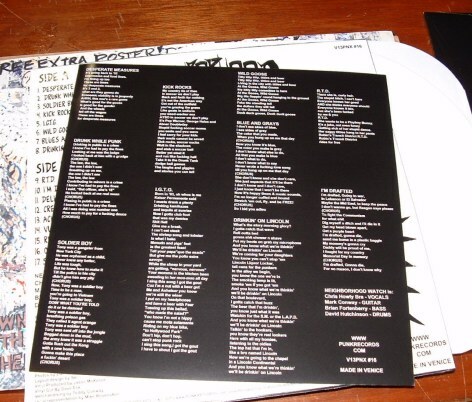 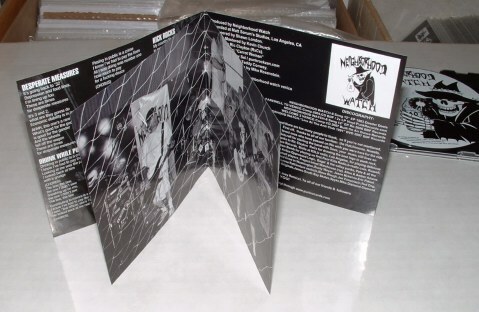 CD Pressing of 1100 Made By N.W.